Back to Home Back to News & Tour Back to Tour news Back to 2018 Back to July Back to Could a long-standing Carnoustie record be under threat? Could a long-standing Carnoustie record be under threat? In seven previous Opens at the legendary, ultra demanding, penal and punishing links on the Angus coastline, not one of the seven Champion Golfers of the Year ever triumphed with a score in double-figures under-par. Tom Watson (-9) came the closest in 1975, followed by Padraig Harrington (-7) in 2007. 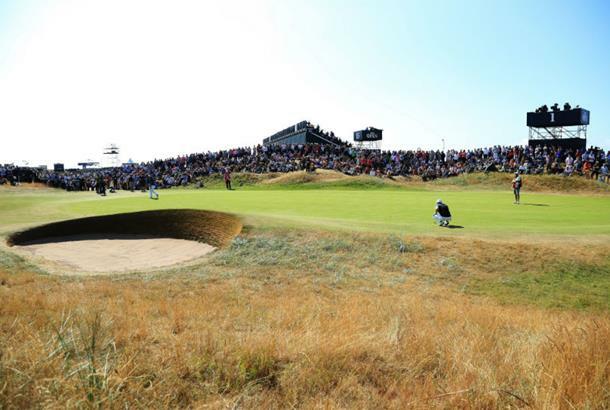 However, Carnoustie is a completely different ball game this time round and there is every chance that the Car-Nasty tag will be removed as it appears the course often dubbed as 'The Beast' could well see the lowest scores ever recorded at an Open here ... at least if we go by the evidence of first round scores and performances. 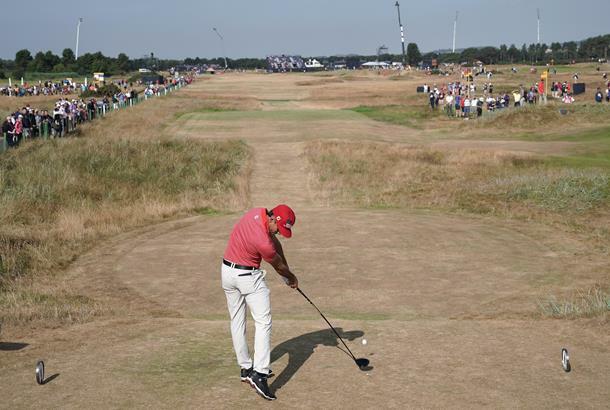 Britain has been in the midst of a heat-wave over the past few weeks, resulting in a course that is playing firm, fast and fiery – drawing comparisons with a baked-out Hoylake in 2006. Tiger Woods remarked earlier in the week that the fairways were faster than the greens, but it's no wonder given that Carnoustie has received half of its usual rainfall in the past three months. And while there were a lot of lower scores posted during the morning rounds rather than among the later starters on the opening day, if we take in to consideration first round scoring, weather and course conditions, the trend certainly points towards a week that has the potential to make history. Will Carnoustie finally deliver its first ever double-figure winner this week? The following factors might well convince you…. - While the fairways might be firm and fast the greenkeepers have been watering the putting surfaces, which appear extremely receptive to approach shots and are a distinctively different colour to the brown and baked grass that surround them. This means players barely need to use their drivers off the tee thanks to the roll but can spin it back with their wedges – a perfect combination for lower scoring – provided they can navigate their way around the pot bunkers and big undulations. - The rough has been watered but hasn't grown to be as thick as was expected, meaning that a wayward tee shot (with a small area of exception on each hole) isn't as much of a penalty as it might have been if the weather had allowed it to grow. Instead, in parts the grass is merely just wispy patches, giving a genuine hope of getting out of trouble that sits miles apart from the rough in 1999 which gave the course it's original 'car-nasty' tagline. - The weather forecast for the rest of the week is also likely to be a contributing factor the scores, and they look favourable for the most part. The afternoon starters on Thursday had the tougher of the wind conditions, but it appears weather will be generally fair for the next couple of days with the likely exception of a bit of rain tomorrow and winds gusting 20-25mph expected to blow on Sunday afternoon. - There are also a lot more players under par than usually expected after the first round of an Open at Carnoustie. While Kevin Kisner came up one shot shy of Sergio Garcia's low opening round record of 65 in an Open at Carnoustie (set in 2007), the field is a lot more bunched up. In 1975 the number of players under par after round one was 11, in 1999 there were none, and in 2007 there were 19. In 2018, that number currently stands at 31 (who have finished).